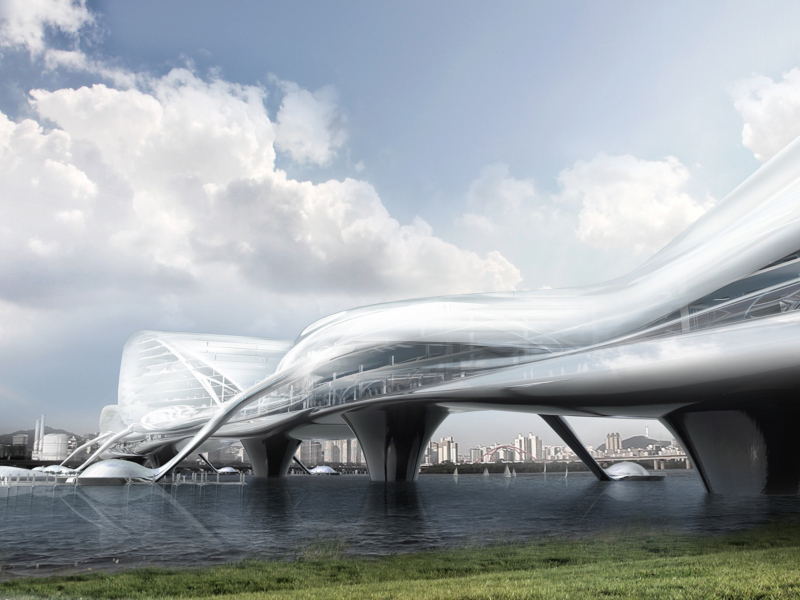 Paik Nam June Media Bridge is a mega-structure over the Han River that aims to efficiently expand the city fabric on to the water. 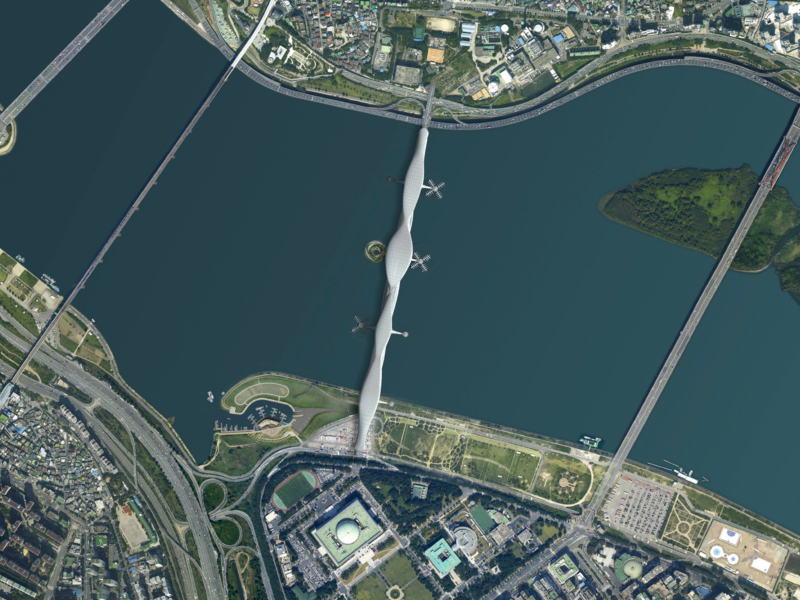 With a total length of 919 meters, the bridge connects the north and south of Seoul. 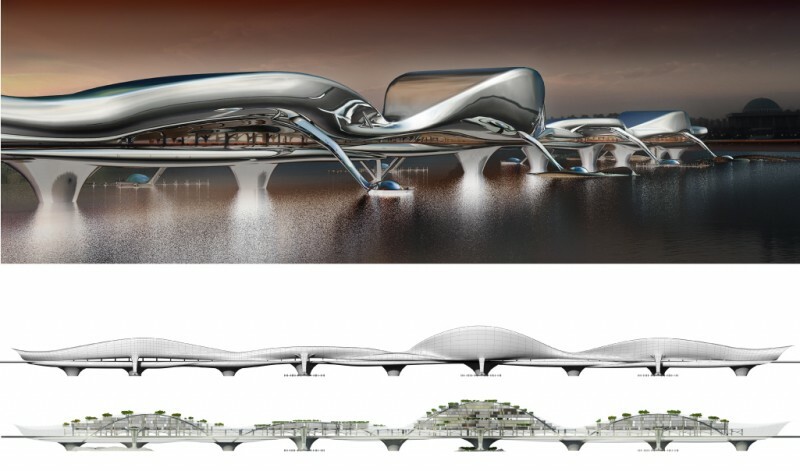 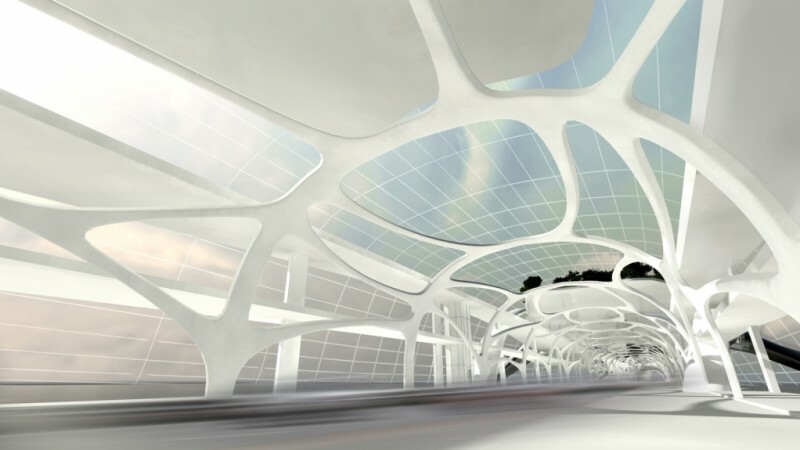 The design proposal is a largely sculpted form with fluctuating curves and volumes. 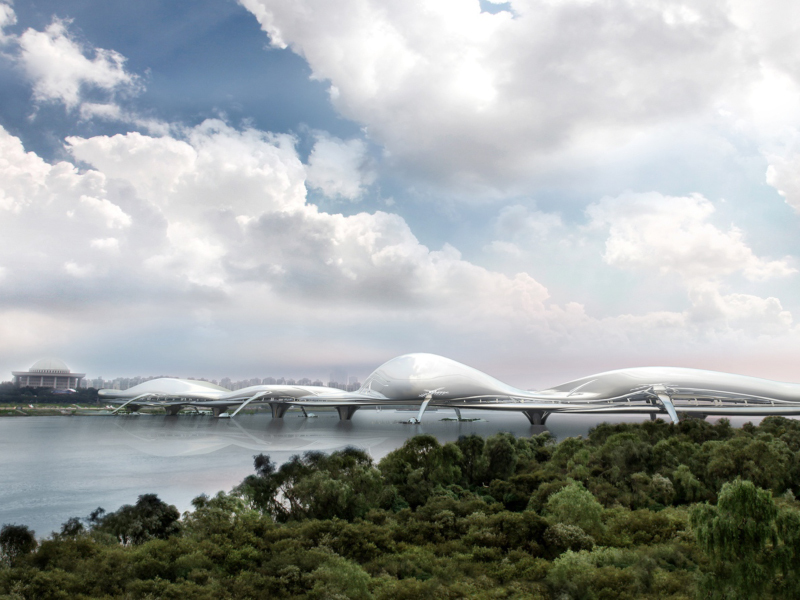 Paik nam june media bridge aims to accommodate for the walking and cycling portion of the population. 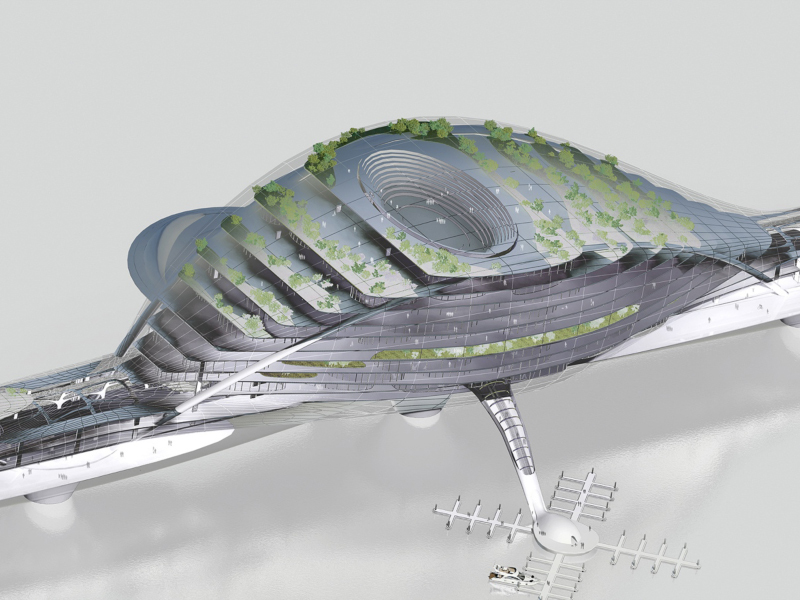 In addition, the structure will host a number of public facilities such as a museum, library, and an IT complex mall. 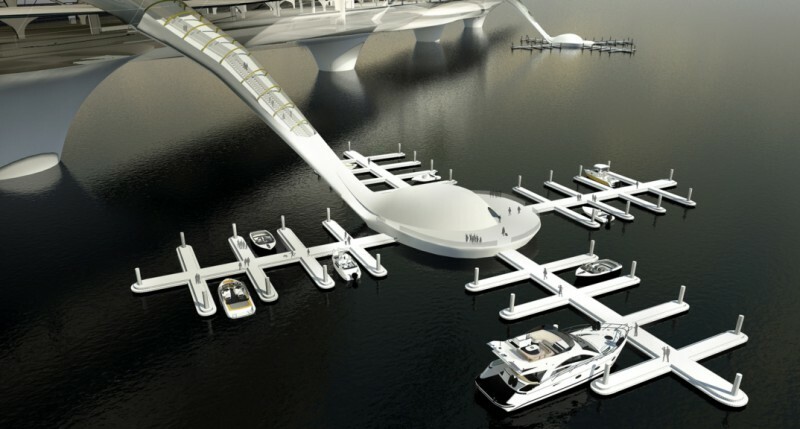 This bridge will also connect the people down to the water by featuring a series of docks for water taxis, yachts and cruise ships. 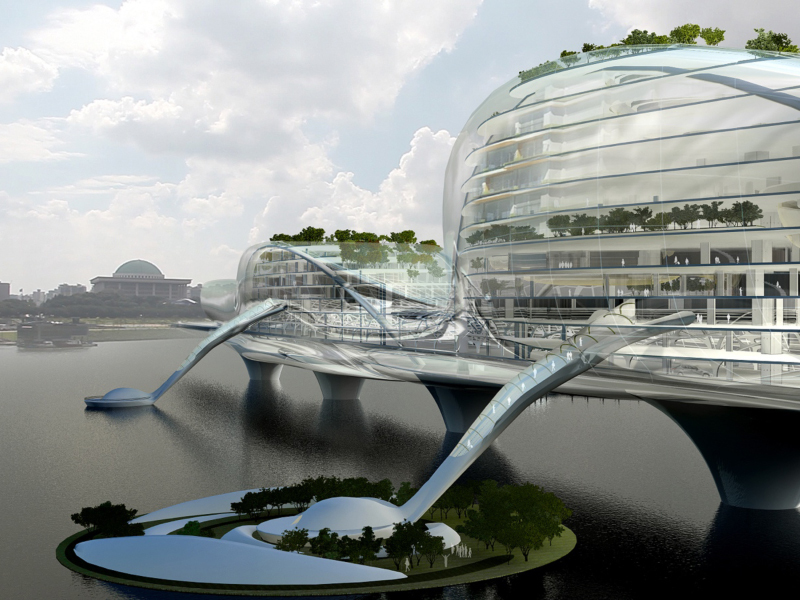 To generate a large portion of the energy used for internal programs, the bridge is clad in solar panels. 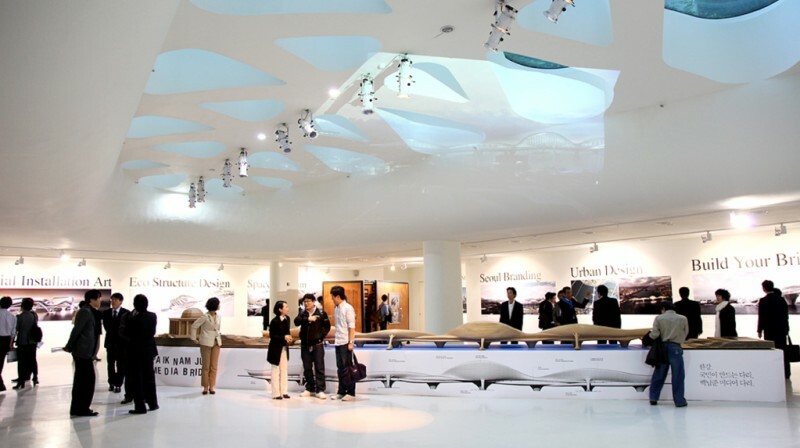 The project was on show at the Boutique Monaco Museum in Seoul in November 2010. 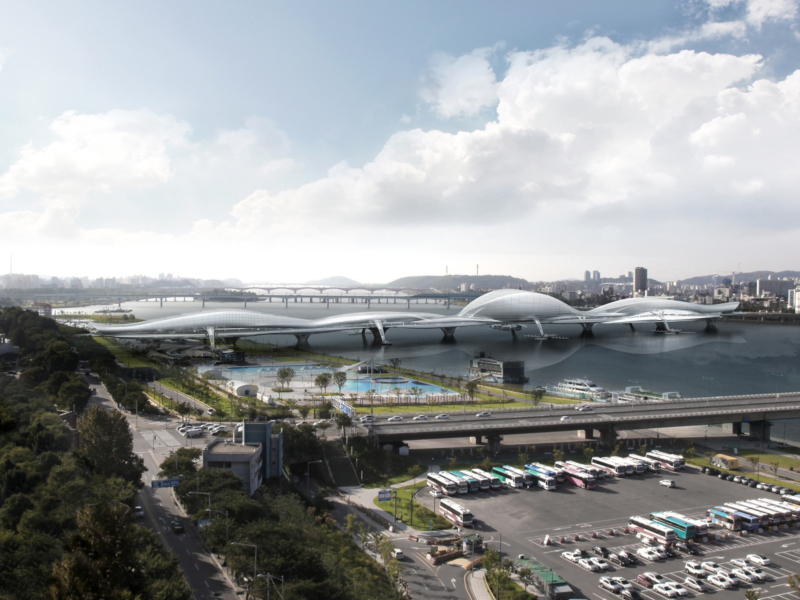 Copyright © 2018 Planning Korea Co., Ltd.